Palm Springs in the desert, widely known as a perfect weekend getaway, is also a familiar destination for many Californians wanting to escape the colder winter days. For a couple of weeks Indian Wells turns into the playground of the world’s tennis elite crowding up at the Indian Wells Tennis Garden, an impressive tennis facility that was built in 2000 and has 20 tennis courts, including the 16,100-seat stadium court. It is the second largest tennis stadium in the world. The BNP Paribas Open in March is the fifth largest tennis tournament in the world outside the four Grand Slam tournaments. With its six easily accessible practice courts BNP Paribas Open offers viewers the great opportunity to watch their favorite players up close during a warm up session or a practice match and secure an autograph right after. For the Californian, Indian Wells Tennis Garden offers a convenient way to watch some world-class tennis just a couple of hours away from Los Angeles and Orange County. 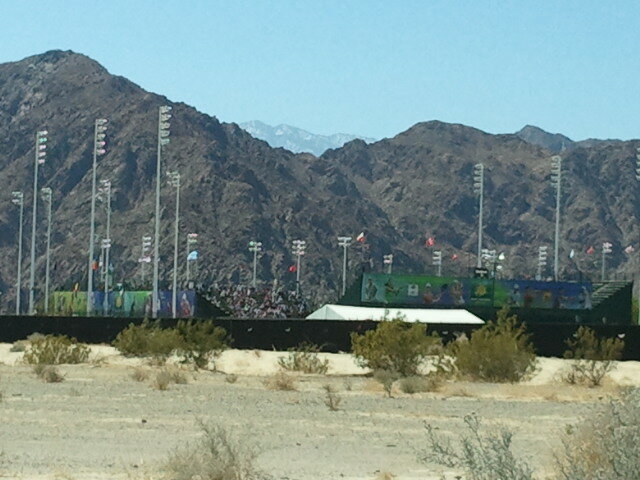 The BNP Paribas Open takes place every year in March. This year it started on March 5th and will continue until March 18th, 2012. The tournament has something to offer for every tennis enthusiast. It certainly is an unforgettable experience to the seasoned tennis player and the novice alike to see the players in action so close up front. Not to mention the educational benefit. It is just amazing what one can learn just by watching the pros. After having watched Djokovic on the main center court, we felt so lucky when we caught a space in a front row of one of the practice courts to watch not only Roger Federer but also Rafael Nadal in a practice with their coaches as well as in a warm up session with another player. One of the many highlights of the trip was Federer signing our son’s hat. Our eight year old was gleaming, and it was hard to convince him to take off his hat at night. All the endless hours in the melting sun were worth it after all, even in his eyes. 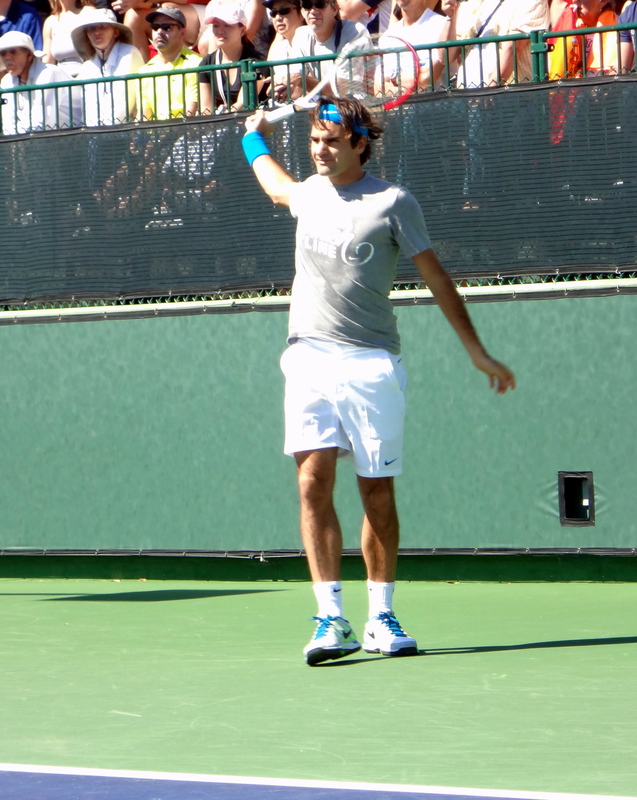 He is ‘sold’ on Indian Wells and definitely ready for next year’s event.